Do you find it difficult to talk to your teen? Are you concerned that your teenager makes risky choices? Do you try to reach out to help your teen, but your teen refuses to listen, shuts down or talks back? It can be stressful, painful and frustrating to see your teenager struggling, but refusing to listen or accept help. Being a teenager isn’t easy, and often, teens need an outlet for expressing themselves and work through their issues. That’s why at Angel’s Counseling I provide therapy services for teenagers facing emotional or behavioral challenges. I also work with teens who struggle with drug and alcohol addiction, helping them break destructive behavioral patterns, make positive choices and use safe coping skills. Peer pressure, academic demands, drug and alcohol exposure are some of the struggles that teenagers may face nowadays. As a parent you have the best interests of your child; however, at times you may feel at loss how to help your teen. That is when your teenager may greatly benefit from professional teen counseling. If your teen is facing emotional or behavioral challenges, I am here to help. In counseling of teens I use positive behavioral strategies, aimed at helping teens heal from trauma, break destructive behavioral patterns, develop effective communication skills, increase self-control, make positive choices, feel greater self-worth and reconnect with their inner strengths. Cash, check and credit cards are accepted as forms of payment. Payment in full is due after each session. I offer once a week counseling at Angel’s child play therapy office. Usually the average length of counseling is about 8-12 sessions; however, each person is unique, so the length of counseling can be different for each child and family. Your health insurance policy will often offer full or partial coverage for OUT-OF-NETWORK mental health treatment for your teen and your family. If you decide to use your insurance your teen will be required to have a mental health diagnosis. 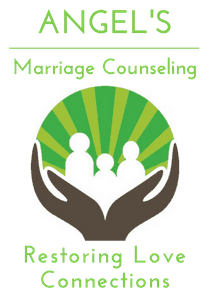 You are responsible for the payment of the full fee for a teen counseling session at the time of the service. Upon request, I will provide you with a receipt of payment for you to submit to your insurance company for reimbursement. Anjelika, you have done a superb job of getting to the core problems affecting our teen daughter and helping her gain tools to cope with anxiety. You listen to her, and give her a safe place she wants to visit when she’s feeling overwhelmed. We’ve seen incredible change in our daughter’s perspective and well-being over the last year. Thank you for being there for her. Your skills and kindness are much appreciated. 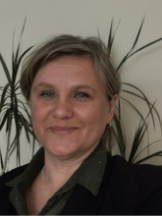 If you want a Therapist who is professional, caring, loving and understanding then Anjelika is the one. Every family member who has seen her has improved in every aspect of their life. Although she specializes in marriage counseling she has been able to improve family functioning entirely which is why I would recommend her without any reservations. Anjelika, you’ve also done a superb job of getting to the core problems affecting our daughter and helping her gain tools to cope with her anxiety. We’ve seen an incredible change in our daughter’s perspective and well-being over the last year. Thank you for being there for her. Your skills and kindness are much appreciated. 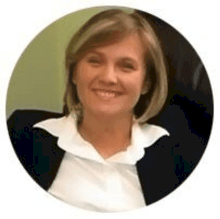 Anjelika is so very knowledgeable, incredibly compassionate and very skilled at getting to the heart of issues and successfully working to resolve them. She has equipped us as parents through teaching techniques so that we can give better, more strategic support to our children who have been through great trauma. We highly recommend her! !